Have you checked out the latest from Converse? 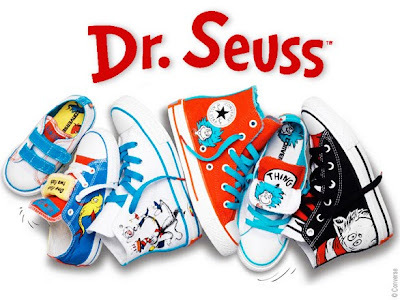 For their Fall 2010 line they debuted a fabulous collection of Dr. Seuss inspired All Stars that your kids will go BANANAS for! How fun and adorable are these?! Go to www.converse.com for additional pricing and styles. Those are so cool.. I have a blog award for you over on my blog. I am in love! I just added them as my new favorite thing on my blog- I put a link to your page also! Thanks so much for telling me about them!! they are so cute!! love them!